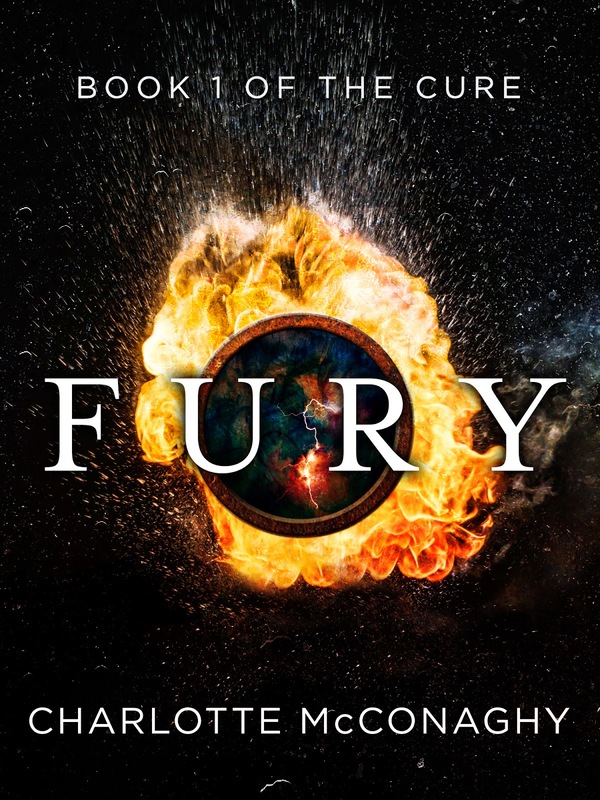 Can you tell us a little about your latest book, Fury? Fury is the first in a trilogy set in a dystopian future where anger has been cured by the government. Josephine is the last remaining uncured soul, and she’s plagued by dark demons from her past as she tries to find a way to survive the cold world, her only ally a stranger named Luke who has secrets of his own. I read a story many years ago about a man who’d been through a trauma and believed he was transforming into a werewolf, and this sparked the idea of Josephine for me — a woman who believed she was turning into something completely alien under the blood moon, someone burdened by the fear of having committed terrible deeds without any control over them. The science-fiction world took shape after that, because I wanted to counter Josephine’s anger at her plight with a world that no longer had the ability to empathize with rage, hence the mandated cure for fury. If Fury was made into a movie, who would you like to play the main characters? I always really struggle with this question! Maybe for Josephine… Mia Wasikowska? Especially because she’s Aussie! I’m really intrigued by Brie Larson lately, after I saw her in Short Term 12 – she’d make an interesting Josi too. I can see Jamie Dornan being a great Luke. But his book to movie adaptation quota is probably filled for a while now. Oh – Chris Hemsworth! I love him. What is it about the dystopian genre that appeals to you so much? I love the high stakes of the world, the danger of it, the idea of a society that has turned against the individual—in this kind of world, real courage and humanity must shine through in order for survival to be possible, and those are the best kinds of stories in my opinion. You've been writing since you were 14. 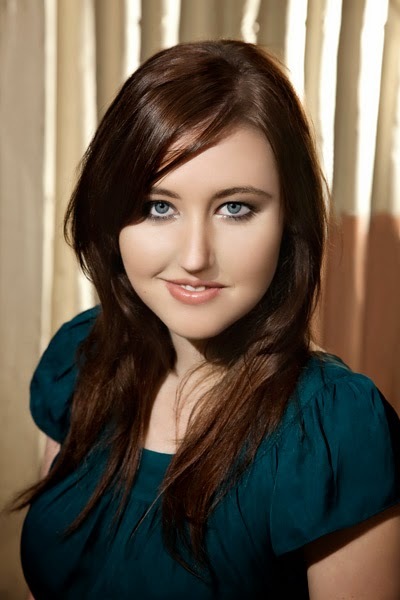 Why did you want to become an author? Some characters have names almost as soon as they come into my head, others I have to think about for a little while, and for this I have a great little baby names book that I love reading through and getting ideas. Name one of your all-time favourite dystopian books? I really love ‘Under The Never Sky’ by Veronica Rossi or ‘Pure’ by Julianna Baggot. And of course ‘Brave New World’ by Huxley. Other books inspire me constantly – if I’m ever stuck with my own work, I know I only have to find a gorgeous book, read for a few hours and then I’ll be feeling inspired again. Same with a great film, or a good tv show. Real life, of course, is a big factor – I think to be a writer you have to allow yourself to be inspired by the real stories you hear, or by the people you know and their interesting quirks. Especially if you are writing spec-fiction that looks at possible futures, you need to be interested in the way the world works, and the way humanity and society functions within it. Holed up in my room, with music playing and no distractions. Ooh, good question. I have to say, I thought the Hunger Games movie was an excellent adaptation of the novel. I recently enjoyed the Divergent movie. And How I Live Now was a great adaptation of the Meg Rosoff book. Laini Taylor and Glen Duncan. And also Pierce Brown. And Melina Marchetta and Guy Gavriel Kay — oh god there are too many to choose from! Charlotte Bronte would definitely be one – Jane Eyre is incredible. Shakespeare, of course. Aldous Huxley. And my current fave Laini Taylor. That would be an odd dinner party. My favourite food is cheese. Random? Maybe. Interesting? Possibly not. Oh my god the movie of my life would be the most boring movie on the planet. It would consist of someone sitting at a computer and imagining interesting things! I’m cringing so much at the thought that I can’t possibly put some poor actor into that role! I live in Sydney, by the beach, which I love. The suburb I’m in is full of backpackers so I’m surrounded by really attractive English and Irish accents all the time. So that’s fun. I’m currently editing a new novel called ‘Thorne’, the sequel to my fantasy novel ‘Avery’, which came out last year. I’m also writing the sequel to ‘Fury’, which I hope will be released not too far in the future. I really want to go and live in a cottage in the moors of Scotland one day. I’d write romantic stories based on myths and legends and I’d have a fireplace, and there’d be mist everywhere all the time – and a local pub nearby where I could go and dance to fiddle music. Probably the Celtic selkie myth, about the seafolk who have two bodies. When in seal form they swim the ocean, but can remove their sealcoats and become human. If a dastardly human were to steal their sealcoat, however, they would be trapped on land forever, longing for the sea. I think it’s sad and beautiful. Who did you want to be when you were a kid?I’m not really sure… For as long as I can remember I’ve wanted to be a storyteller and an adventurer, which is I think why I became a writer. Wonderful questions Suzy! I love that she lives in an area with lots of backpackers. I think that would always keep life interesting. I would also love to live by the beach in Australia. I would take just visiting there even! I'm happy to hear Charlotte is working on the sequel to Fury. The book was really good and I can't wait to read more!